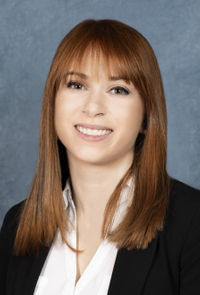 Adalie Raymis is certified by the National Commission of Certification for Physician assistants and is licensed through the Texas State Board of Medical Examiners. Adalie was raised in Austin, Texas and attended Dripping Springs school district from a young age to graduation. After graduating high school, she attended the University of Texas at Austin and received her bachelors of science degree in Nutritional Sciences. During her undergraduate career, she found her passion in the physician assistant profession and went on to attend The University of Texas Medical Branch in Galveston to get her Masters in Physician Assistant studies. Upon graduating, she moved to Houston, Texas for several years and gained experience in orthopedics and orthopedic surgery. After several years, she realized there is no place like home and decided to move back to Austin, Texas. She enjoys spending time with her patients and understands the importance of listening to patient concerns to ensure the best treatment possible. When she is not working, Adalie enjoys spending time with her husband, traveling, trying new foods, spending time with friends, exercising, and playing with her two dogs.